Curcumin as a flavonoid from the rhizome of Curcuma longa has antibacterial, antiviral and antifungal activity. Multidrug resistance in pathogenic bacteria is continuously increasing in hospitals. The aim of this study was to investigate the effect of curcumin encapsulated in micellar/polymersome nanoparticles as an efflux pump inhibitor (EPI) on the expression of mexX and oprM genes in curcumin-treated and -untreated isolates of Pseudomonas aeruginosa. Clinical isolates of Pseudomonas aeruginosa were treated with ciprofloxacin (sub-MICs) alone and/or in combination with curcumin-encapsulated in micellar/polymersome nanoparticles. The expression of mexX and oprM genes was quantitatively evaluated by qRT-PCR in curcumin-treated and -untreated bacteria after 24 h. Curcumin-encapsulated in nanoparticles (400 µg/mL) induced cell death up to 50% in ciprofloxacin-treated (1/2MIC) resistant isolates during 24 h, while the bacteria treated with ciprofloxacin (without curcumin) were not inhibited. Also, curcumin in different concentrations increased effect of ciprofloxacin (sub-MICs). 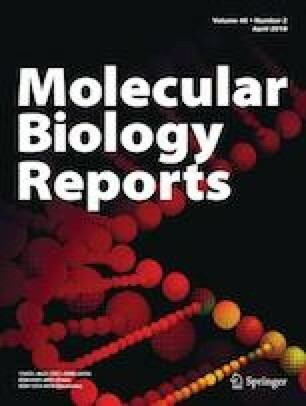 Downregulation of mexX and oprM genes was observed in cells treated with curcumin and ciprofloxacin compared to cells treated with ciprofloxacin alone. It seems that curcumin can be used as complementary drug in ciprofloxacin-resistant isolates through downregulating genes involved in efflux pumps and trapping ciprofloxacin on bacterial cells and increasing the effects of drug. Hereby, we appreciate Dr. Farhood Najafi for synthesis of CMN. We also would like to thank Seyed Reza Garakoui for his cooperation.